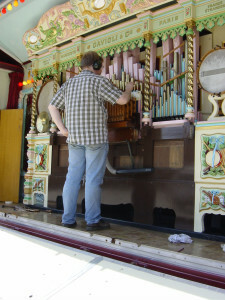 Russell Wattam busy tuning the Dunford family’s 89 key Gavioli during routine maintenance. 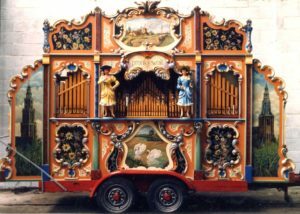 Once an organ is restored, it should be periodically checked over and adjusted, and like other musical instruments, carefully tuned. A significant part of our activity, we have made annual trips to service certain organs for more years than we care to remember! Sometimes repairs need to be carried out on-site as well. 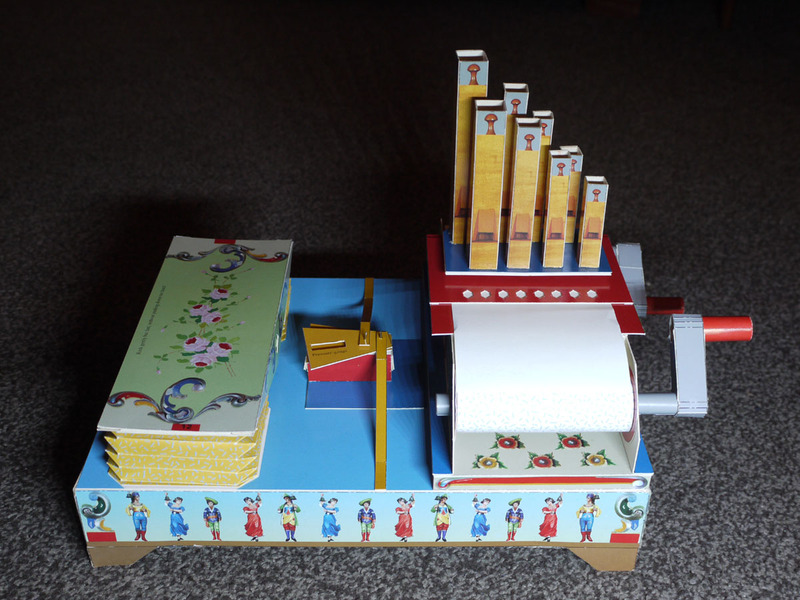 We regularly carry out this work in the UK, Europe, the United States and Japan. We are often able to accommodate several client visits in one trip, making the cost to each customer as reasonable as possible. 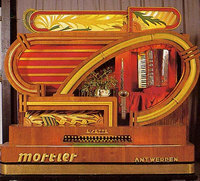 80 key Mortier orchestrion “Lisette”. 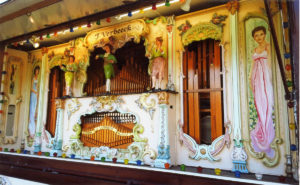 A completely chromatic café organ, built in 1947, which was restored by us in the late 1970’s and is still going strong! Use the player below to hear “Lisette” playing Mustafa, arranged by Albert Decap.